Are you looking for a smart LED TV under Rs 25000? You are at the right place. We have come up with a list of 10 best smart LED TVs under 25000 in India 2018-2019. All the LED TVs listed have a size of 32 inches, 40 inches, and 43 inches. You can either place them on a table or hang them on a wall. These Smart TVs can connect to the WIFI router in your home and you can play content directly from the internet. Smart TVs also have inbuilt games so if you have kids, they would love playing games on a large tv display. The display panels of these LED TVs are of great quality. You will see rich colors with good saturation, hue, and contrast. Speakers on these LED TVs deliver a sound output of around 20W enough to provide a nice experience in a room or a small hall. The LED TVs are priced from around Rs. 17000 to 25000. 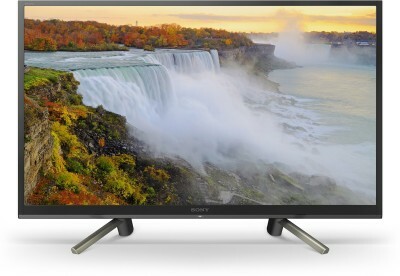 If you can spend more then take a look at best led tv under 30000. The LED TVs from big brands like LG will cost you little more than LEDs from brands like VU, MI. But we have still considered both on our list because both have good quality and it will be users personal brand preference to go to LG or VU or MI. You can explore other options like Google Chromecast and Amazon Fire Stick as well which can convert a normal TV into a smart TV. Let's take a look at features, specs, pros cons of best smart LED TVs under 25000. This is a 32 inch Smart LED TV from LG 2018 series of televisions. The LED TV offers some nice new features in addition to a great display and loud and clear sound. The 32-inch display on this LED has just HD Ready resolution still the picture quality is good with plenty of details. This TV offers Active HDR which is a technology that makes sure that the colors of the content you watch are lifelike with a wide range of contrast. It also supports multi HDR formats like HDR10 Pro and HLG Pro. You will love the display on this LED TV. The speakers on this LED deliver 20W sound output which is decent to fill a medium-sized room. It is a Smart TV so let's talk about those features. The TV has AI ThinQ which is LG’s new technology that offers an interactive experience. It uses Natural Language Processing to enable intelligent Voice-activated Control. Think of it like Apple Siri or Google Assistant. You can view your photos and videos directly on your TV. You can also link it to your phone and play phone's music on TV's speakers. Plus, there are regular Smart TV features like surfing the web and playing content from the internet. Most of the useful apps like Youtube and Netflix come preinstalled. Overall, it is a fully loaded LED TV with excellent performance. Price is a bit on the higher side. Go for it if you are looking for a 32 inch Smart LED TV under 30000 with all the latest features available. So this was the list of best Smart LED TVs under 25000 in India 2018-2019. We hope that the list was helpful for our users. We hope the article was useful and you were able to find a new Smart LED TV for your home or office. 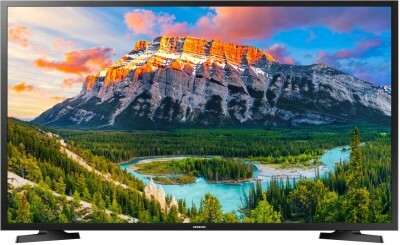 If you need a Smart LED TV of 43 inch or 50 inch size then take a look at this article: top 43 and 50 inch Smart LED TVs.